ATMA 2019 Registration for May exam has been started. It is a national level test for admission in various institutions of management. AIMS Test for Management Admissions is a single-window test. It is conducted multiple times throughout the year. The exam is conducted by the AIMS (Association of Indian Management Schools) authority. On the basis of rank, the admission will be offered to the MBA/ PGDM/MCA and many other management courses. Its score card is considered by the various institutions/universities within India. ATMA 2019 February Result has been released on 22nd February 2019. In this article, we have mentioned the ATMA 2019 exam dates, application form, eligibility, exam pattern, syllabus, etc. As per the directives fromGovernment of Maharashtra State, ATMA Score is valid for admissions against 15% OMS quota and 20% Institute level seats for all the institutes offering MBA/MMS. Check all the dates for ATMA 2019 May exam and its various events related to the exam. The exam will held on 19th May 2019, 23rd June 2019 and 28th July 2019. The ATMA 2019 registration has been started from 20th February 2019. Candidates have to fill the online fee payment form first, and then only they will be allowed for registration. The registration will be continued to till 13th May 2019. Candidates have to fill the valid mobile number or e-mail ID at the time of registration. After submission of registration form, an auto-generated mail containing username and password will be sent to the candidates. Candidates have to take the two printout of the filled-in registration form. Application fee is Rs.1298/- for every candidate. Candidates can making Payment through debit/credit card (Payment Gateway). ATMA admit card 2019 will be downloaded from the online mode. It cannot be sent to any candidate individually. Candidates can download their admit card on 15th May 2019. The candidate has to paste their recent photograph in the space provided on the admit card. Candidates have to bring the documents along with admit card like a copy of the registration form, two recent recognizable photographs same as affix on the admit card and original photo identification proof. Candidate must obtain the invigilator’s signature on the second page of admit card and keep it for future. ATMA score card can be accessed through candidate’s login Id. Candidates have to enter the user Id and password generated at the time of registration. ATMA result has been announced on 24th May 2019 (for May exam). No hard copy of the result will be issued to the candidates. Candidates are advised to take the printout of it and preserve till the admission procedure. ATMA score report contains the details such as the marks scored in Quantitative skills, Verbal skills, Analytical Reasoning, the total scaled score and the overall percentile. The ATMA score card will be send by the authority to the various institutions, on which basis candidates will be shortlisted for the admissions. ATMA score card will be considered valid only for the next academic year. After the declaration of result, the score card of each candidate will be sent to the five participating institutions which are select by the candidates at the time of registration. 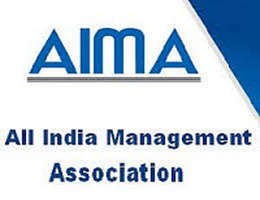 Various management institutions consider the ATMA scorecard to provide admission. Candidates have to report the respective institution where they want to get admission. The document verification and other formalities regarding admission will be carried out at the respective institution. Analytical Reasoning Skills: This section of the paper analyses the logical thinking capacity of candidates. Aspirants must make sure that they strengthen their capability of analyzing situations, only then will they be able to select the correct answer. Having the correct approach and right frame of mind will help a candidate extensively in finding the answer to the questions. Quantitative Skills: In order to excel in this section, candidates will have to practice on a regular basis. Questions related to probability, percentages, time and work, permutation and combination, coordinate geometry, average, profit and loss, mensuration, ratio and proportion variations, interest, geometry, inequalities, time speed and distance, progression, logarithm, set theory, quadratic equation, and functions are frequently asked in ATMA exam. Verbal skills: This is a section which evaluates the English skills of a candidate. Candidates an expect questions based on sentence completion, reading comprehension, vocabulary, and sentence correction, to name but a few. ATMA is a computer-based MBA entrance test. The test consists of multiple-choice objective-type questions. Candidates need to attempt 180 questions in 180 minutes. It evaluates verbal reasoning, numerical reasoning, analysing and synthesising ability of the candidate. The question paper is set keeping in mind the need to assess the aptitude of an applicant for higher management education. The questions will be of multiple choice type. Each question will have four options to choose the right answrer from. For each correct answer 1 mark will be awarded whereas for every incorrect answer 0.25 marks will be deducted.